Uncategorized | Glazed Over & Fired Up! Glazed Over & Fired Up! The sea has always played a prominent role in culture and mythology, especially in maritime nations. The Gods of the sea are some of the most powerful and often represent the dual conflicting roles of the sea as both life giving, as well as life destroying. The Greek mythology included the daughters of the sea god Phorcys who were sea nymphs who possessed the bodies of birds and the heads of women. Phorcys was the son of Potus and Gaia. His wife was Ceto with whom he is well known for fathering a slew of monsterous children known as the Phorcydes. 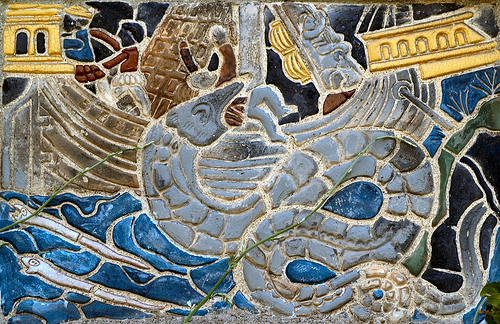 In Hellenistic-Roman mosaics, Phorcys was depicted as a fish-tailed merman with crab claws for legs and spiked skin. Mermaids and Sirens claim a long history that dates back to some of man’s earliest civilizations and are found in almost all Western cultures, as well as traces of the theme in the East. In Germany you find the Meriminni, in Iceland the Marmenill, in Denmark the Maremind and in Ireland the Merow. The Matsyanaris, figures sometimes found sculptured in Indian temples, are nymphs with fishes’ tails, and superstitious Chinese sailors firmly believe in the existence of similar creatures in the China sea. In myth and folklore, mermaids are supernatural, sea-dwelling creatures with the head and upper body of a beautiful woman and the lower body of a fish. 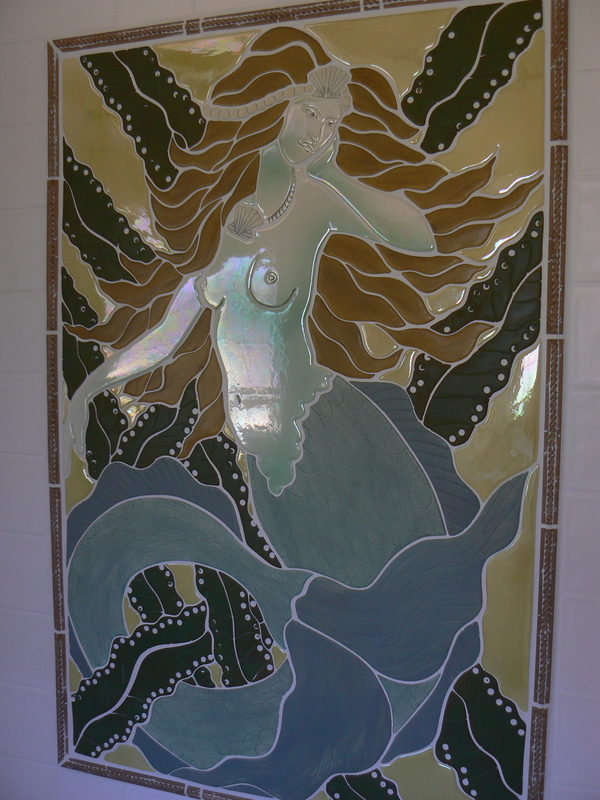 The mermaid is frequently described as appearing above the surface of the water and combing her long hair with one hand while holding a mirror in the other. Mermaids, in the numerous tales told of them, often foretell the future, sometimes under compulsion; give supernatural powers to human beings; or fall in love with human beings and entice their mortal lovers to follow them beneath the sea. Similarities frequently exist between the stories concerning mermaids and those told about the Sirens. The Sirens of Homer’s Odyssey are often depicted as mermaids in contemporary art. Sirens were reported to have such sweet voices that mariners who heard their songs would run aground on the rocks on which the beautiful nymphs sang. 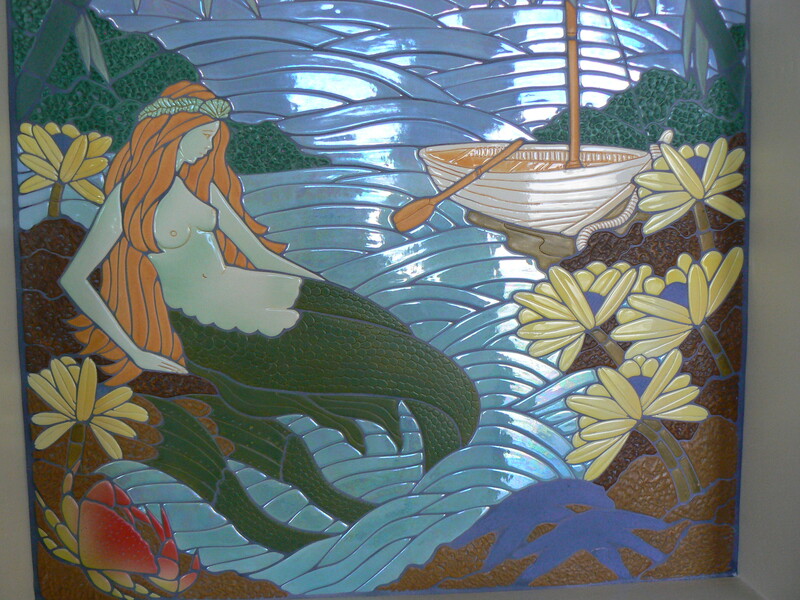 Mermaids, sirens and other sea going mythological creatures play a prominent role in the works created by Pacific Art Tile. I would like to think that my art tile creations are one-of-a-kind and completely unique. 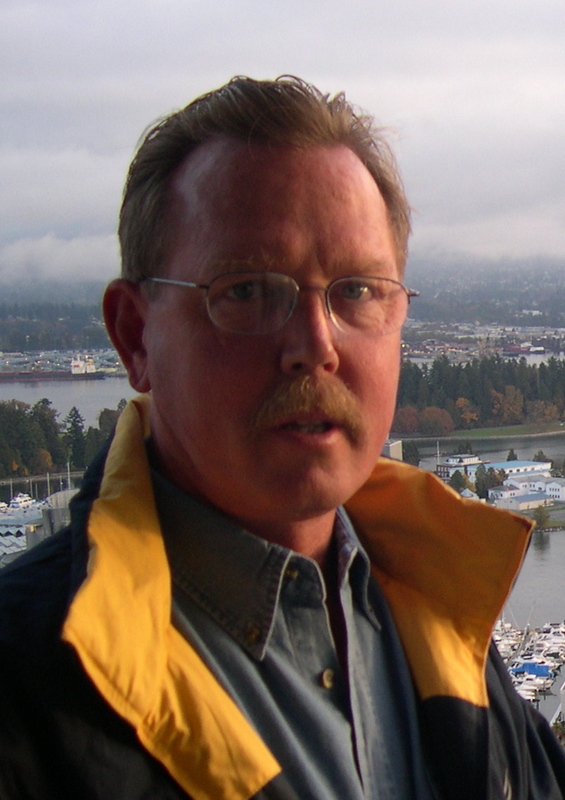 While the methods I employ are not common today due to the intensity of the labor involved, I did find some historical roots and some very interesting similarities in the work of Henry Chapman Mercer. I had been using the “wet cut” technique for a few years before stumbling upon Mercer in a book about the Arts and Crafts period. Not only did Mercer cut his tiles from wet clay in a free form manner, he also depicted many of the same natural subjects I choose to use in my work. As it turns out, Mercer was a very interesting man indeed! 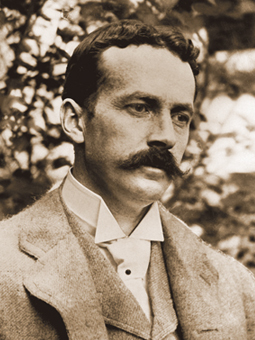 Mercer founded the Morovian Pottery and Tile Works in 1898 and went on to create tiles that were installed in many famous buildings, including the Pennsylvania State Capitol Building in Harrisburg. Mercer built three buildings that are now a part of the National Historic Register: Fonthill, The Mercer Museum and the Morovian Pottery. Tiles are still made at the studio to this day, however Mercer eventually simplified the process to allow the use of molds that were supplemented with handiwork, rather than entirely made from hand. I am fascinated by the fact that Mercer and I share similar techniques and subject matter, we were both born in Pennsylvania, albeit 100 years apart and get this….. we even look alike! Check it out. This marks the first post in this blog dedicated to the art of ceramic tile making. In the posts to come I will look back at the history of ceramic mosaics as well as explore the many creative ways tile and tile art is being used today. 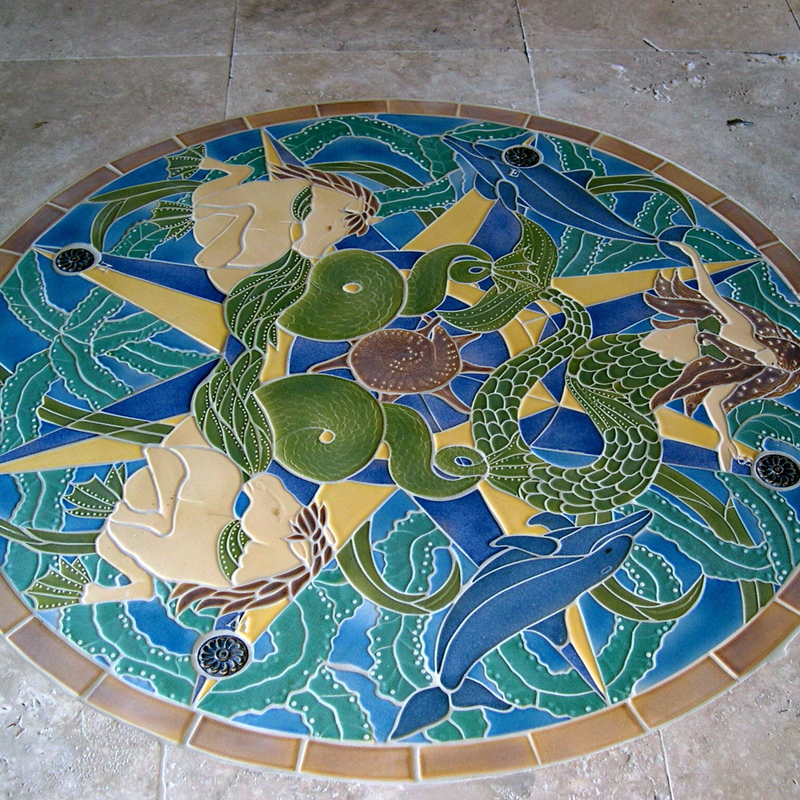 I will post public and private art installations, offer tips to create, install and preserve tile art works and feature tutorials on the process of hand made tile mosaic creation. I personally employ a technique of tile mural creation that closely resembles the effect of stained glass. 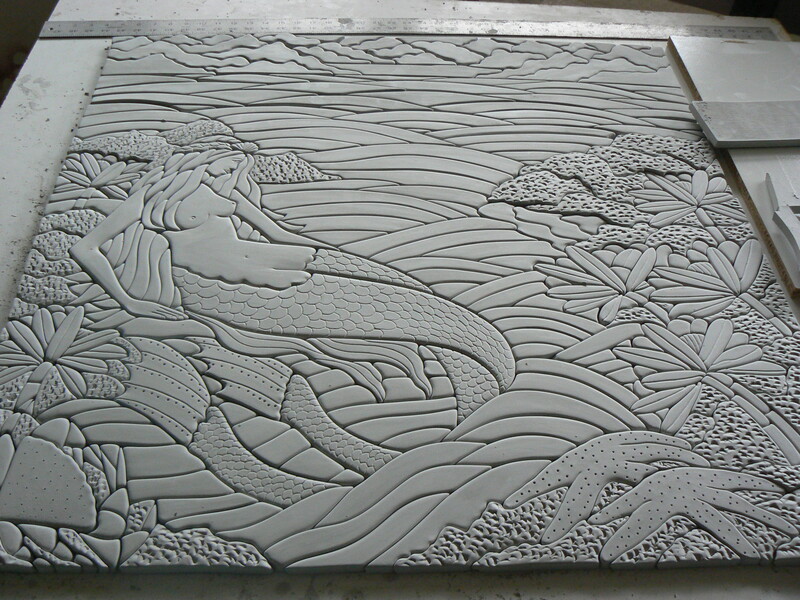 In the process of “wet cut mosaic” a sheet of raw clay becomes the canvas upon which the design is drawn. The wet clay is cut into hundreds of pieces, which are hand cleaned, embellished or incised, fired, glazed and then fired a final time. Unlike tile murals that utilize a traditional square tile format, usually on commercially purchased tiles, each piece of my artwork becomes a compelling and important piece of the overall design. The myriad of pieces are then reassembled, not unlike a giant jigsaw puzzle, and then installed into finished form.I have been creating custom tile murals one piece at a time since 1989.